In this article, we will discuss how to create a Property Site using the Broker Tools tab in Apto. 1. Click the DIALER(app launcher)on the left. Click on the BROKER TOOLS tab. 1. Once you have logged in to Mailchimp, create a basic email template by clicking TEMPLATES at the top of the page and clicking CREATE TEMPLATE. 1. In Broker Tools click EMAIL MARKETING. Then click CONNECT MAILCHIMP ACCOUNT. 2. Enter your Mail Chimp credentials. 1. Once you have built your first email template in Mailchimp and connected your account to Apto, Click CREATE A CAMPAIGN. 2. First, choose the Mailchimp template you wish to use. 3. Next, give the campaign a name, and connect a Contact Group. 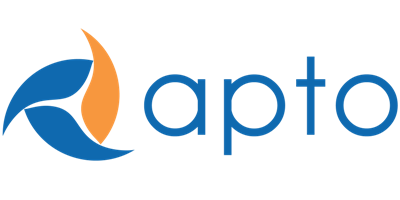 For more information about creating Contact Groups in Apto, please look at this article. 4. Enter in a subject line and all the other information regarding who the campaign is coming from. All of this is required by Mailchimp to create the campaign. 1. When you are ready to send the mass email, you can click LAUNCH CAMPAIGN on the campaign screen. 2. After launching, you can view the details of the campaign and the associated contacts on the sent card. 3. In order to see statistics on the effectiveness of your marketing, you can open Mailchimp and click on CAMPAIGNS at the top. 4. Open the campaign you wish to view, and click VIEW REPORT. The report will give you insights into how many of the people in your list interacted with the email. For more information on campaign analytics, please visit this Mailchimp page. *If a contact you have emailed clicks the UNSUBSCRIBE button, Mailchimp will no longer send this contact emails. You don't have to worry about removing them from the associated Contact Group. You will, however, have to adjust their contact maintenance from the report in Apto yourself if you wish.